Everyone looks shocked and feeling hectic to delete all their files, documents or images or videos from Google+ accounts. One of tech giant in IT sector is going to close their own social network platform. This makes more consumers feel unhappy and very regret in receiving the alert e-mail from the Global Tech giant Google. Even-though many social media networks are here facebook, Twitter and LinkedIn and so on. But no one living is living in the world without this platform since they are playing major role in our day-to-day life even from waking up to till the end of the day fall asleep with the social media. Even the most consumers are not signed up with another social Medias like Face book, Twitter, etc they will surely be an active user in the Google social network Google+. Why they’re permanent active user in it? Since it is fully own personal blog or community and it would be helpful for many companies to interact with their customers in their own blogger. Then why this social network will be closed in April 2019? 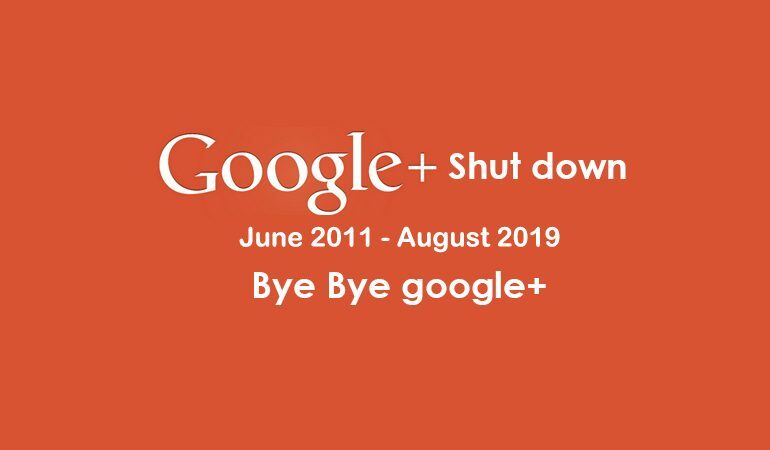 Since there was a vast amount of users are in Google+ due to low usage and challenges involved in maintaining the accounts they are going to shut down. So be ensuring yourself that you would have download and save your files, photos and comments in community in a specific drive/location. Thanks Google+ being my part of career to get more community members, colleagues and connects with more senior person in my career platform. Let’s Hurry up and go download your photos, videos and contents from your Google+ account. Make sure you will do all the process before April 2019 and photos and videos backed up in Google photos will not be deleted by the Google. Shocking news is for you, you can no longer create any new Google+ pages, communities or events from February 4th. 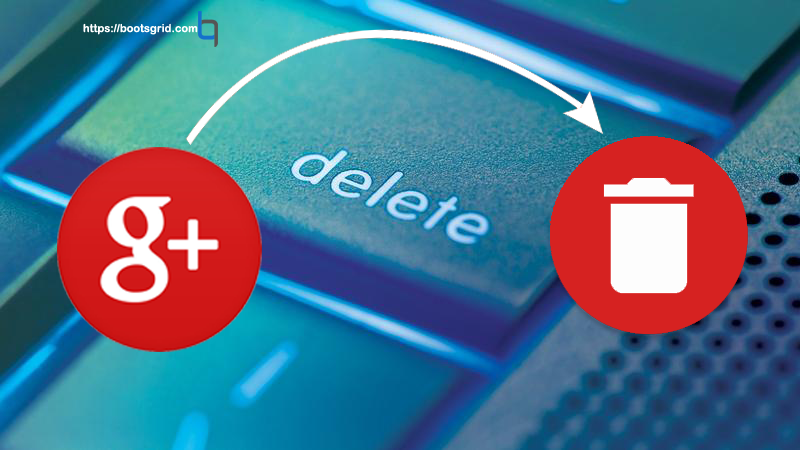 They will begin to delete all the contents from the Google+ accounts so don’t create another one which will be going to exist only for few days. Most of the IT business and services companies are running successfully with the maximum support of this tech giant’s social network. Of course it would be the great platform for any companies not only included IT enterprises to promote their products or services and reaching the right prospect at right time. But now this pathetic news broke down the many hope of the companies or organizations those who run their business on the shadow of Internet giant social community network. So I guess you may be the community owner or moderator you would be trying to save your data, files, photos and videos of your community. Ensure download and save your data in Google drive or on your personal drive such as SD card or RAM but everything you need to be get done before March 2019. Many people using the Google+ is one of the free platform to explore something into any websites so they could be using the Google + option to land up on the page they want to explore more. Sorry unfortunately you won’t able to sign in anymore using that option and also they are working on this to remove or disable this function in many web pages by removing the particular button which is going to show no more as SIGNIN WITH GOOGLE+. Including me too disappointed of removing this facility to get explore something in any new websites. No worries they only disabling the feature as sign in with Google+ option but they couldn’t restrict you in sign in with Google. Simply nice to sign in with Google instead of Google+. But not sure they might be going to replace the sign in with Google by Google+. Most of the people would like to choose the Google + is the primary option post or comments on their own website or any other websites. Exactly they choose this option as primary to post anything in their blog or websites even if they are having other social media profile like Facebook, Twitter and instagram since it show their profile as most professional guy to the outside of the world like Linkedin. So that They could go with Google+ option to post anything comments in the comments section. But regret to share this sad thing to you those who are in the image of Google+. No more possibility to show your professional experience or skills by posting comments on your website or other websites bloggers. Since this featured will be going to delete from bloggers from February 4th and on other sites from March 7th and all your Google+ comments will also be going to disappear from April 2nd 2019. In nowadays tracking the site is very simple with Google analytics and zoho with salesiq etc but once hit our brain about tracking first thing blink in our mind is Google Analytics, but we some of us not yet familiar with Google Tag manager. Yeah this is the first time exploring about it for me too. It really helps us in tracking our incredible ecommerce site and also it’s not much of cost which you’re right now thinking so it’s very cheaper extension for your magento store. More extensions are available in online so if you need this extension, then you can simply purchase it Today. You never afraid of how to get configured with our ecommerce store? You can easily configure this extension with magento site with simple steps. 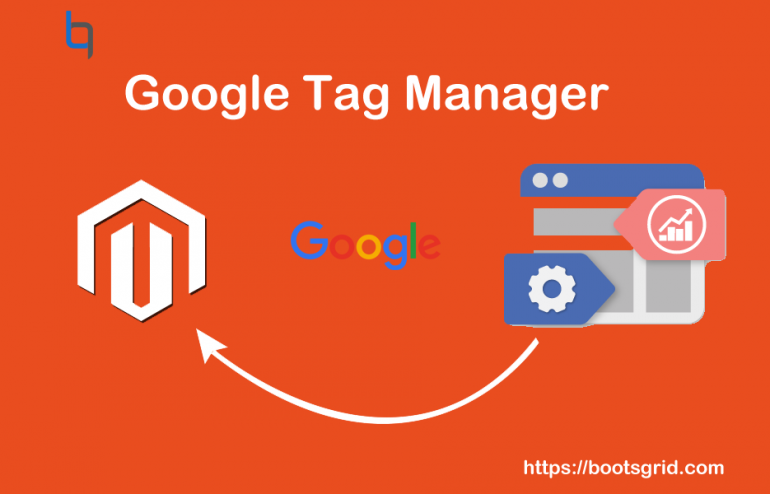 Integrate your ecommerce with Google Tag manager and deploy universal analytics tracking system via Google Tag Manager (GTM) and turn on your ecommerce tracking in Google analytics, simultaneous you would enable tracking in your ecommerce site. Then you create and add an ecommerce data layer to your site and you can configure your site Google Tag manager for tracking. You can usually approach your audience via cold calling, e-mail marketing and social Medias and so on but your goal is to reach your right audience. 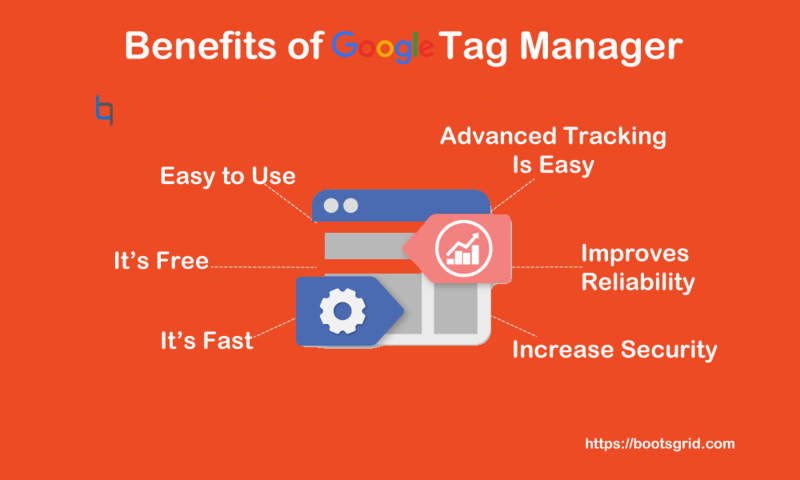 For this purpose we can enable with Google tag Manager It allows you to add the target your audience, leverage remarketing and test and improve the site. It also enables you to manage and deploy marketing tags on your website or mobile app without modification of code. It plays role of transferring the data from one source to another first it fetching the data from your website to Google analytics. Many people confusing about the Google analytics and Google Tag Manager how it is difference from Google Analytics? Since GTM is used only for storing and managing the third party code. We are already familiar with Google analytics which is used for reporting and analysis. EASY TO USE it will your team to make a new updates and add new tags quickly and easily. Even though if you’re working in the non-technical field but you should never worry about your technical knowledge since without need of developer you can streamlines the process, speeds time to launch and allows you to focus on larger projects. YOU GET EASY UPDATES AND FUTURE PROOFED WEBSITE you can get future upgrades and enhancements since modification can be made through interface not on an each page of your site. If you’re considering to upgrading to Google Analytics and It will make gradual transition. DEBUG FEATURES built in debug features allows the team to test and debug each update on your site prior to the publication, you should ensures with your tags works properly before they go for live. VERSIONCONTROLL A new, archived version is created every time you publish a change through GTM, making it easy to rollback to a former version at any moment. BUILT IN TAGS it comes with a number of important built in tags for both classic and universal analytics. It allows the marketing team to customize the tags without need of any coding knowledge with little bit of information. PERMISSION MANAGEMENT it allows you to set the permission for individual users and control internally who has the ability to add tags, macros and make any changes to the website. FUNCTIONING WITH ANALYTICS It also allows users to install Google analytics It includes all tag templates that gives you all the options you would have in your Google analytics Plus It will be compatible for older onsite code for event tracking, page views and cross domain tracking. TARCK EVENTS IN WEBSITE it allows you to track the various events which are happening in your site while the visitor visiting your site such as clicks of pages, video engagement and form submissions by adding the code to your website. It eliminates the need to tag each link so you can target links or buttons by attributes that are already on the link or by using a standardized naming structure. Digital era already started a decade and now this era increasing their interference in every sector including bank payments, shopping, and more and more. Every Business units depends upon a Digital age solution since people needs to done the job with accuracy, fast paced manner. In this list there are no leverages for store owners, merchants they are also adopting their stores and switching over to the online ecommerce market place because the customers would be interested in shopping and purchasing the products in online by making digital payments. So Google helps you in debunk your products to your customers with Google Adwords and merchant centre. For this you need to create an account in Google Adwords and merchant centre. If the customer Google any products it shows the result on the top of pages then customer either buy or not depends upon their decision. 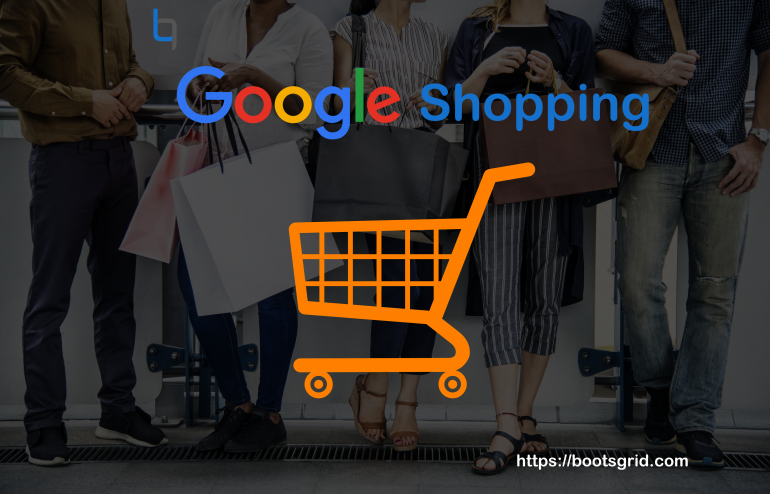 Google Shopping is nothing but the shopping ads which campaigns are run by this platform and benefits shop owners to reach their audience via Google search results. 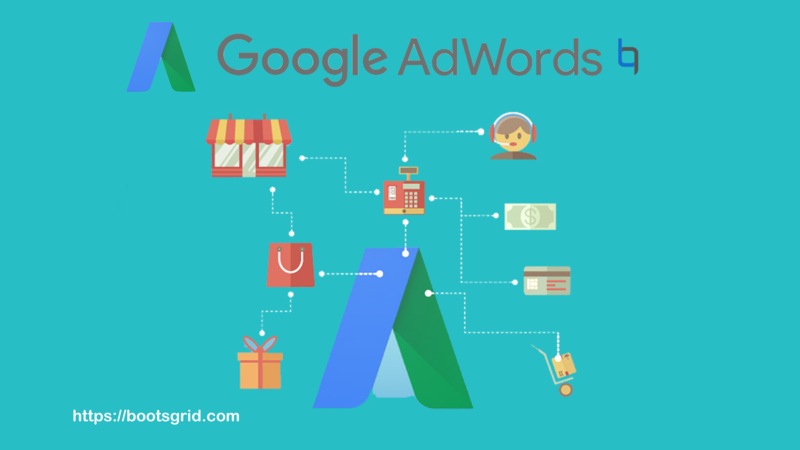 After you successfully created adwords account you need to create a data feed about your List of products such as Price, Brand, images etc and create your merchant center and link your Google merchant account with Google adwords account. Then now you can now run your shopping ads campaigns on Google. Are you familiar with Paid search advertising? Paid search advertising means PPC or Pay-Per-Click it is one of the tech giant’s Search engine marketing platform as Google ads to build, manage, and optimize advertising campaigns to attract potential customers to one’s online business. Advertisers configure the campaigns with bidding it known as Cost-Per-Click method where the cost is placed on a keyword or product which is the maximum amount an advertiser willing to pay for a click. 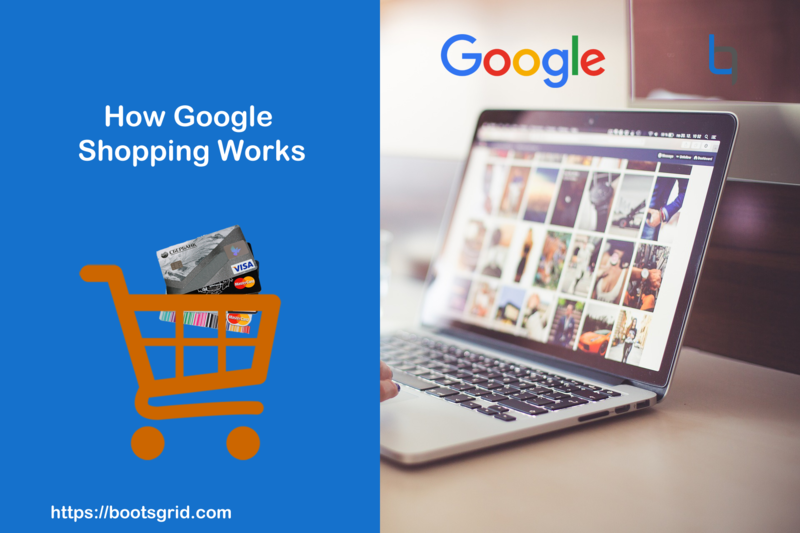 After you set all the details of your product and set campaigns it will get on to the Google results with your Product title, images, price, store name and more since the shopping ads are more than normal text ads. Do you have interested to open online shop? Here we have Bootsmart multivendor clone script to move your business to the next level. Then what are you thinking? This is the right time to integrate your store with ecommerce. 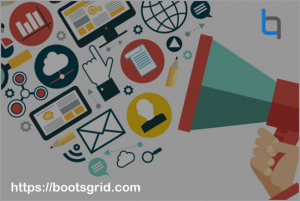 Just reach Bootsgrid to get your online shop today. MORE TRAFFIC VIA CLICK RATES many businesses ear through Click through rates and advertisers have experienced double or triple click through rates and compare to the normal text ads with shopping ads looks more attractive and easy to pitch the right audience. 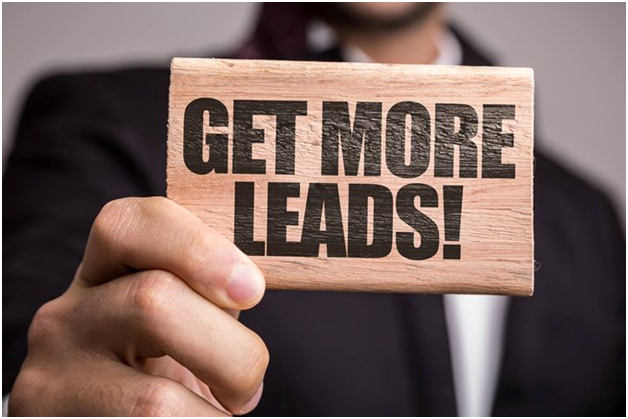 GET QUALIFIED LEADS As a shop owner or merchant you can able to the featuring the product information directly in your ads it helps the shoppers to make informed purchase decision it inspires the customers more likely to purchase the product on your site. EASY RETAIL CENTRIC CAMPAIGN Shopping ads use your product attributes which you have given in data feed to show them in relevant searches instead of using keywords it will be results as great to reach your customers. Browse your product inventory directly in Google Ads and create product groups for the items you want to bid on. BROADER REACH BY PRESENCE more than one of your ads can appear for user search if relevant a shopping ad and text ad also appear at the same time. This means your reach with shoppers for a single search could double. GOOD REPORTING FEATURE it gives you your performance report about Products/product attributes. Because the performance metrics are associated with the item and not the product group, you can filter and segment data by your product attributes, including things such as product category, brand, condition, product type, item id and custom labels. MOBILE RESPONSIVE you may have noticed that Google only displays 2 traditional PPC ads on mobile devices. This means that unless you manage to secure one of these valuable top 2 positions, your ad is going to be seen by a lot fewer people, especially as more searches are now conducted on mobiles and tablets than on traditional desktop or laptop PCs. Google Shopping Ads, however, appear at the top of mobile searches in a carousel showing the first 15 results. AUTOMATIC UPDATE once you’ve set up an automated product feed, your Google Shopping campaign will update the inventory every night, ensuring that you’re not bidding on ads for products that you no longer sell or which are out of stock. By the same token, if you add new products to your site, they will automatically be added to your feed for the next day, so you don’t have to constantly update your campaigns manually. VISUAL CONTENT rather than the text ads, Visual or video content advertising reaches more audience easily and fast. If your product stands out visually, and you have good quality imagery, it’s going to grab buyers’ attention! Mode of Digital payment inflating day-by-day not only in India every country agree with this kind of astonishing platform of payment. Around a year ago Google debut its mobile payment solution name is TEZ. Yeah everyone known about it right now many people thinking of TEZ is either same Google pay or another one but my answer is Google rebranded their mobile payment solution TEZ into Google pay. With TEZ we can make our payment as easy and fast by using the recipients contact number and of course even for small amount money transfer we have done with TEZ and also Google offers huge rewards as Scratch card for using their payment solution. These are all the benefits are experiencing by the millions of people around the world and still they enjoying this wonderful services which is offered by Google. So Google now introduced Google pay as their mobile payment solution. In this post we can discuss about the newly rebranded Google TEZ and its huge features are integrated on it. In Google Tez we just sending and receiving money via mobile applications. 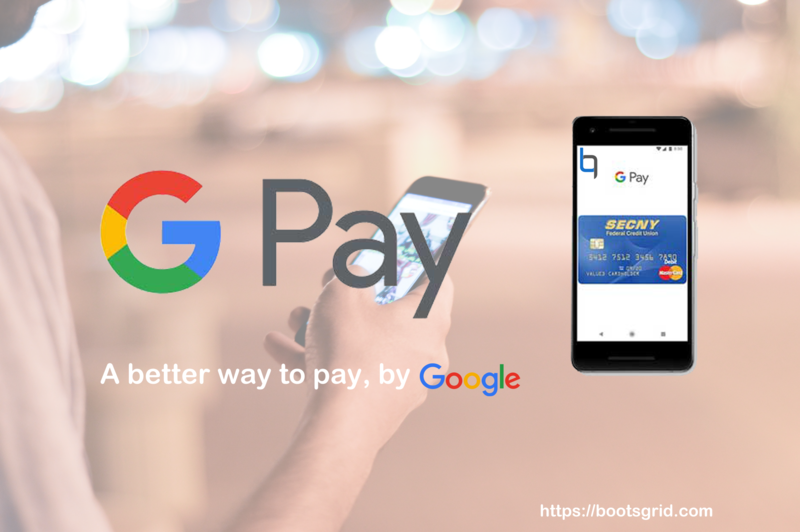 Many people thinking of what’re all the benefits are included with Google pay? How it benefits for us? 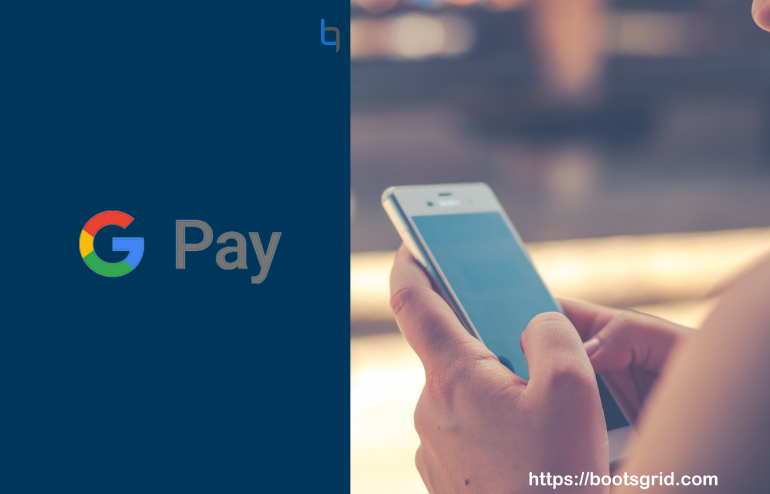 MAKE PAYMENT VIA AUDIO with this unique feature in Google pay you can able to send and receive money via Audio based QR system before you going to transfer an amount you should scan the QR code which is running in your mobile. Ultra sonic wave is used to generate the one-time-code for payments. PAY YOUR BILLS Apart from you send and receive the money you can pay your EB bill, gas bills and DTH and mobile recharge and start your online shopping with Google Pay. Since they are tie-up with some brands such as Tatasky, Goibibo, Redbus and zerotha. MULTI PAYMENT OPTIONS you should pair two mobile by using QR code and then transfer the money. For transaction you can use UPI name, then by submitting the recipient’s Bank details and IFSC code. Mainly you can able to view your transaction history including your money request. REWARDS Yeah Google Pay also offering some rewards for using this application exactly you guesses right in TEZ we earn some huge rewards in scratch card after done successful payments so Google pay offers such kind of rewards for consumers. LOAN OFFER with this unique feature you can get your pre-approved loan since Google tie-up with ICICI, HDFC and Kodak bank. The loan offers is based on some eligibility criteria if you’re eligible you can receive loan offer on your app. You don’t afraid of your card details getting stored in your device or any hackers access the details because your card is not stored on your phone. So no worries about your card details. It won’t store or share your details with anyone. There is unique code for each transaction which prevents it going through twice. Even if accidentally you tapped twice you won’t pay for twice. If you lost your phone or stolen, you can use android device manager to instantly lock your phone, even if you wipe your personal details. Google pay will never work automatically for $100 purchase since it needs your PIN at the terminal just for verification you should enter your PIN. Now In this modern era we are all in some hectic to sustain and survive in our business and also ensures with the exact data sources, not approximate based on our market research . For this we need to confirm with the data which we have found, analyzed for once for a twice since if you’re running your business over decade you must fetch the data either it may be by your good exploration and analyzing more and more articles, blogs etc. Once if you are correct with your data what you’re going to done with it? Where you can save and share it? It’s for marketing people, SEO they are having more data market research results in the form of any statistical format so they need to again confirm with it before they can share in their official blogs or websites. SEO having bulk number of data in Google marketing platform such as Google Analytics, Google Ads, Display & Video 360, search ads 360, youtube analytics, Google Big query and more. 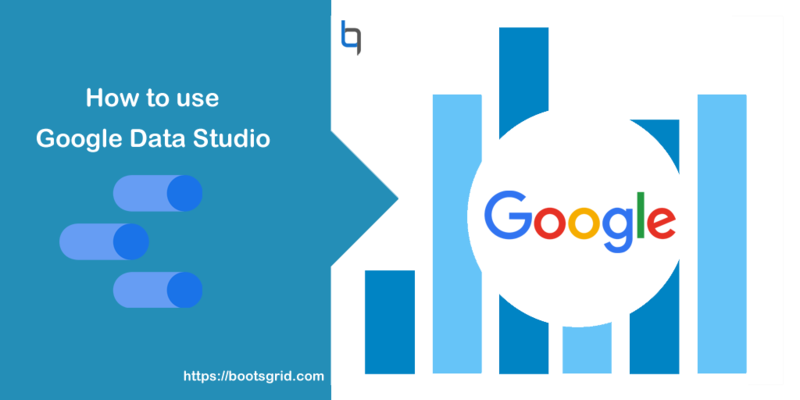 With Google data studio they can able to easily access data from the above mentioned Google products such as Google Analytics, ads, Display & video 360 and more because Google’s Data studio is part of Google marketing platform and integrated with Google cloud. It allows you to share your insight with anyone within your company and apart from sharing the data it enables you with seamless collaboration with others in real time. You not only share your raw data within your official group, But also you can able to Transform the data to chart, metrics either if you’re a SEO or Business Analyst since you have responsibility to track your metrics records. Analytics are always confusing, Baffling overwhelming and onerous to get clarity in it and also vast fast challenge for digital marketers. So Data studio taken care of your burdensome task by generating easy to understand report for your work and you may think of Can I send my data reports to my clients? Yeah sure it will greatly supports not only for you, but also your clients can be able to understand reports so they (your clients) may appreciate your great work done with Data studio and it easy to customize the data in various forms such as bar graphs, charts, line graphs and so on. DATA CONNECTORS are enabled from data source they are connecting platform to connect with data studio report as pipes. Each data source are having unique, pre-build connector and also ensures you to easy to access and use the data from various sources such as Google analytics, display & video 360, Google ads, YouTube analytics, Google sheets and Google Big query etc. DATA TRANSFORMATION Are you hectic in converting your raw data? 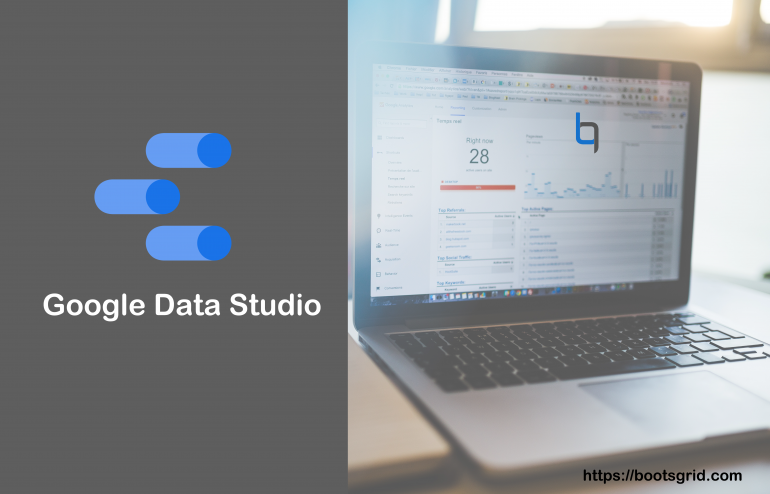 No worries Data studio here is for you to convert your data stuff into the meaningful one in the form of metrics, charts, Bar graphs, line graphs and turns your data into dimensions and powerful building blocks for charts and graphs. DATA VISUALIZATION enables you to view data in form of such bar graphs, charts, geo maps, pivot tables etc. and if you want to get your data results and send to your higher officials you can show them visually with this dazzling feature of data studio. It also offers you to customize your data that help you to engage and persuade with data story. Each visualization built in comparison to view the changes in data over a period. SHARING & COLLOBORATION You can able to share your insight focus in your organization and getting collaboration with your colleagues to get their ideas regards in your insights about anything. So If you’re having data build from data studio you can get more info from your folks too. Work on your teammates or people outside of your company invite them to edit and collaborate on your dashboards and reports in real time. See edits as they happen and the changes are getting saved automatically. USABILITY Are you new to the data and reporting solutions? so no worries Tech giant Google designed this astonishing tool only for you since easy to use and simple drag and drop feature with full property panels and snap to grid canvas helps you in reporting the data in easy format. With availability of more reporting templates enables you to customize your reports with nice designs and styles based on your needs. Don’t afraid of any strangers access your data without your permission access since you’re and admin for your data and you only decide to give access the data for individuals, groups. Every developers have wishes to develop an wondering mobile app and also they are headhunting to find any platform to prove their hard work and gesture to the world. So of course as a developer they are not only interested in developing an app, but also having an ability to go beyond that level. Most of the developers are qualming about to expose their ideas of promotions of their own app. Some developers overcome with little bit of marketing skills which already exist with them. Yeah of course as a developer you’re also having the obstacles, due to the lack of promoting knowledge of mobile applications you struggling with that. For all your obstacles to promote your application there is a solution to beat your hesitations and poor level of marketing skills, so this is absolute time to pick it from the Modern day galaxy GOOGLE it’s name is GOOGLE ADMOB. With this Google Admob You can able to promote your app and get engaged with your users and also without need of your marketing strategy you expose your mobile applications to the universe since Admob would taken care of all the things. You can create your app ad spaces available by creating ad units in Admob and you would choose where you want the ads to appear while adding the ad units to your app code. 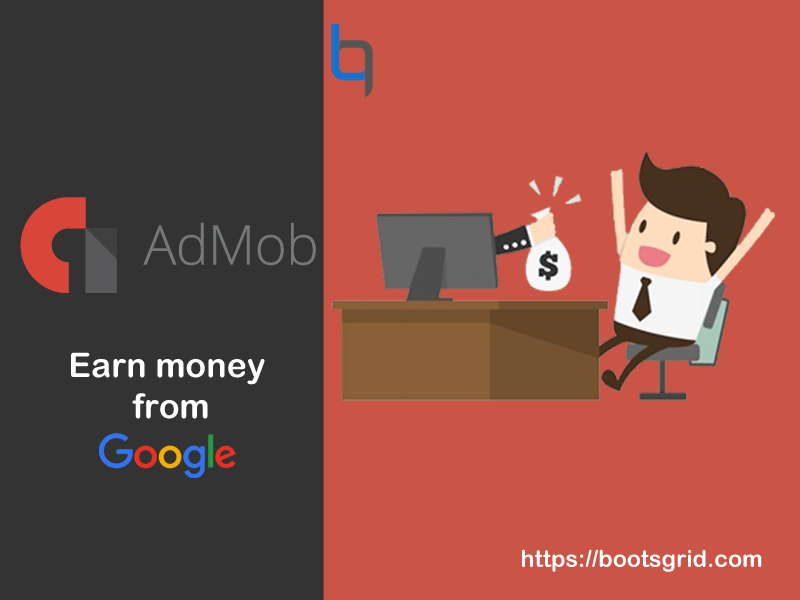 How it does these things means simply it links your Admob account with your Adwords to advertise your ads in android, ios or other gaming applications. 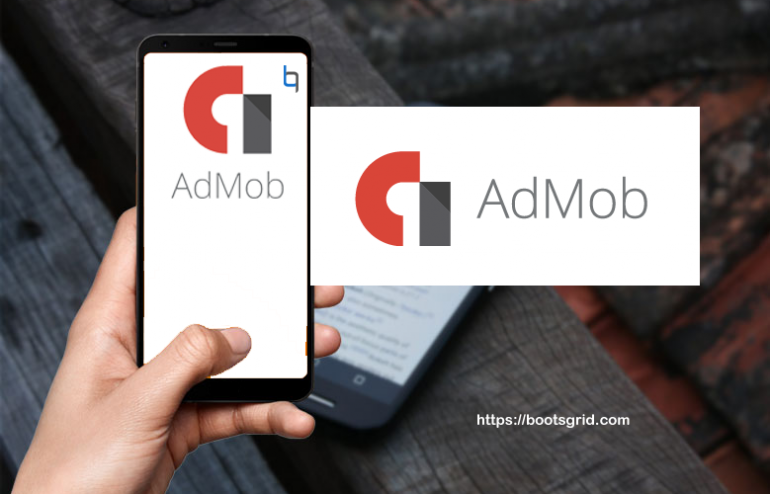 By connecting these two Admob and Adwords accounts you can able to do mobile app install campaign. It will get you details about the how many people downloaded your applications? How many gets engaged with your applications with help of Google Analytics? How many conversions your get with your app? You can able to easily access and evaluate your campaign performance since it fully integrated with Google Analytics. You may about a unique feature of Admob House ad campaigns. I can explore you House ad campaigns (campaigns that serves ads to your app using your inventory, free of charge). MAXIMIZE YOUR REVENUES Admob works with millons of advertisers to compete for your ad space while stay in full control of process, to maximize your earnings. GENERATE MORE DEMAND it helps you in choosing best performed networks for your locations and ad formats over 100+ networks around the world. And also earn the maximum number of CPM (Cost Per impressions) by calling all participating networks simultaneously your ad sources getting more bid in real time. It Pull the real time CPM data from advertiser so with this unique feature you never about the costly mistakes you can simply eliminate it and so you can save time and make more money from your ads. DELIVER SEAMLESS USER EXPERIENCE You can customize your ads for your app to provide best customer experience It send you all the ad components to your app code for ads looks and feel like natural part of your app. MAXIMIZE ENGAGEMENTS AND AD REVENUE your users can choose to engage with a video ad in exchange for in-app rewards, or opt out at any time. These rewarded ads optimize your app revenue and keep your users happy. FLEXIBLE BANNER ADS FOR PERFWCT FIT you can able to fit the banner ads as you want such as resize the image and also user can able to view the banner by rotating their devices and Interstitials appear at natural breaks or transition points, creating engaging brand experiences without disrupting the flow of your app. BUILD WITH FIREBASE GOOGLE ANALYTICS Link your app to firebase to unlock the insights that support in earning more money and make better apps. You can able to build more audience in firebase to segment users and view the report which one is earning you the most revenue. MANAGE YOUR REVENUE STRRREAM IN ONE PLACE you can able to see all of your earning revenues, in-app purchase revenues in one place and it convert all impression level ad revenue to life time value and average revenue per user metric so you developed customized ad experience for each of your audience segments and track value growth. REVIEW YOUR ADS if you want to remove the ads which are unnecessarily running in your app so no worries Admob takes decision whether if the ad will run or not in future. You can also able to block the ads from adwords advertisers which are shown in your apps. From one easy-to-use dashboard, you can automatically block ads by advertiser URL, category, or ad network, as well as app promotion (or “click-to-download”) ads, ads pertaining to sensitive topics, and more. It’s also easy to filter ads that are rated unsuitable for certain audience. Google works hard to maintain a brand-safe environment for advertisers and publishers to buy and sell ad space. 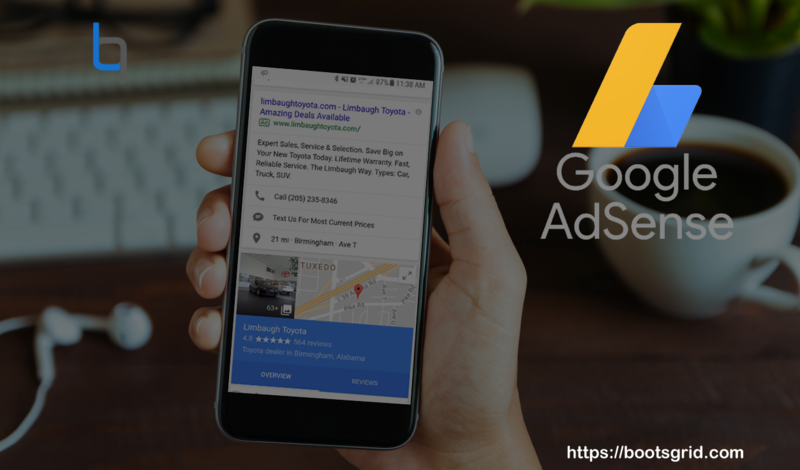 Google display ads provide a safe marketplace across audiences and locales, so you can rest easy knowing your brand is in good hands from the get-go. Everything Going online in this digital era So marketing people are also switching into it to optimize their website. Here they need such one of the best marketing, advertising tool to get more right audience rather than the visitors. This is possible with Google Adwords and takes care of the advertising responsibility to show your products to right audience at the right time. In that some people getting confused with Google analytics and Adwords . Don’t confuse both since Google analytics is keep your eye on the visitors by getting their metrics and conversions.In Google Adwords you need only pay per click of your ads. Google looks at how relevant and useful your ad is to the searcher and the search terms they’ve used. It also looks at how many clicks your ad has received previously, also known as its click-through rate (CTR) and how relevant your landing page is. In the Google Adwords another on significant thing is Searching and selecting the keywords which you’re frequent visitors using for their search results so you should first conscious in getting keywords and search terms. And another significant thing in Google Adwords is bidding. 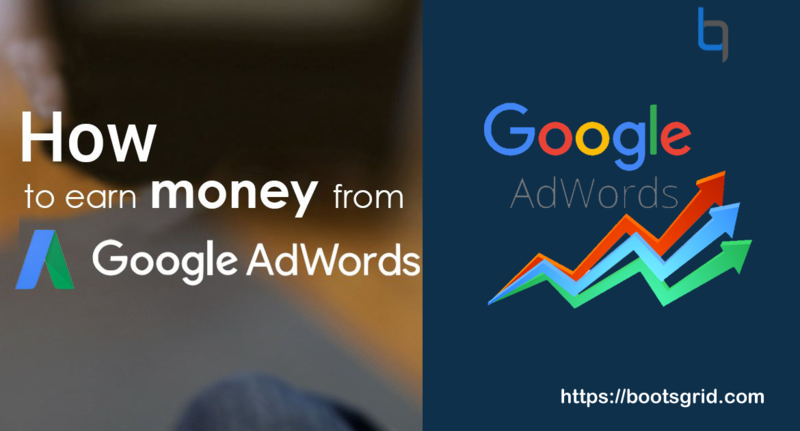 You pay Google Adwords each time your ad is clicked. The price you’re willing to pay for each click is called cost-per-click (CPC). If you bid maximum bid amount and choose automatic option Google chooses bid amount within your budget and brings you the most clicks possible within that budget. There is also another less common option called cost-per-impression (CPM). This is where you pay the search engine for every 1,000 times your ad appears on the SERP. The user doesn’t have to click-through. FASTER THAN SEO. Both SEO and Google AdWords are search engine marketing strategies to generate more traffic and leads. But, a well optimized AdWords campaign can work much faster for a business to get the much coveted first spot in search. You can focus on multiple keywords and turn on/off campaigns whenever you want. MAKE BRAND AWARENESS. 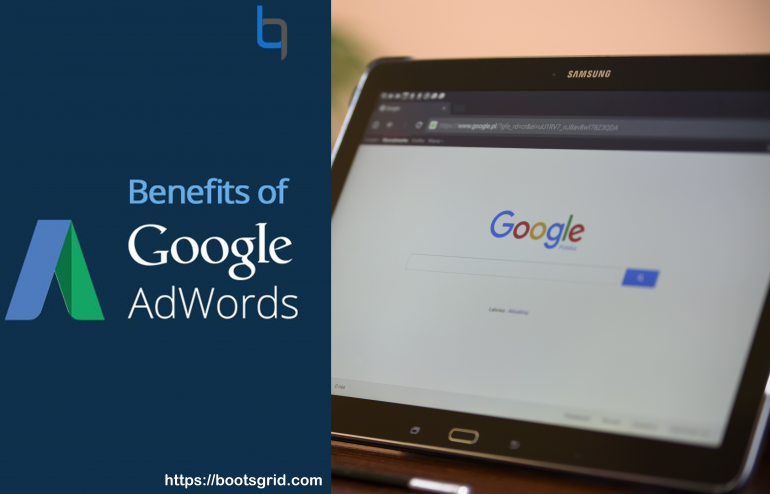 Google AdWords, in addition to boosting traffic, clicks, and conversions, is also an efficient way to tell people about your brand. To verify this, Google partnered with Ipsos to run a study across 12 verticals, right from automobiles to retail. It was discovered that search ads lift top-of-mind awareness by an average of 6.6%. REACH MORE CLIENTS THROUGH GMAIL. In September 2015, Google integrated native Gmail ads with Google AdWords and made it available to all advertisers, which means you can reach more clients. MEASURE YOUR PERFORMANCE CONSISTENTLY. It is very difficult to measure the outcome of traditional advertisements like newspapers, radio, broadcast television, cable television, outdoor billboards, brochures etc. Also, they are much more expensive than Google AdWords. You can’t control your own budget and spend. In adword tell you exactly who clicked your ad and How many leads have been generated? EXPLORE MORE USING YOUR ADS when you link your Google AdWords account with your Google Analytics account. AdWords is a great platform but it won’t let you know what people do after clicking the ads. But, Google analytics would help you understand, how long a visitor stayed on a page? How many pages have been visited? Bounce rate of your landing page and details about new visitors and returning visitors. SCHEDULE YOUR ADS TO REACH THE AUDIENCE AT RIGHT TIME. Yeah you read it right you can schedule your ads to show your products at the right time (when they are surfing the internet).It gives more chances to get conversions. Today gandering, exploring into one of the Incredible products in Google. With Google we can do anything, whatever we need to accomplish. Of course in these modern days Google considered to be the fact as modern God to us so if you want anything, gets any incredible information about anything simply we go with the baby step as Googling. In this word Google becomes as verb in our day-to-day life. More people need to make money how they can earn more money with this? Its solution is GOOGLE ADSENSE Yeah exactly you may right now exploring the internet what’s this? But you should one thing ensures with yourself is don’t confusing with adwords, analytics and adsense. These are all one of kind of exposing platform for most valuable products. You can expose your incredible products to this universe with this modern day Google products. Here we go with Google adsense. With this money earning platform that allows the publishers to earn more revenues in their ads as Cost per click (CPC). Just they need to insert a small amount of HTML into their website and have ads appeared that are targeted and relevant to the context of the site. 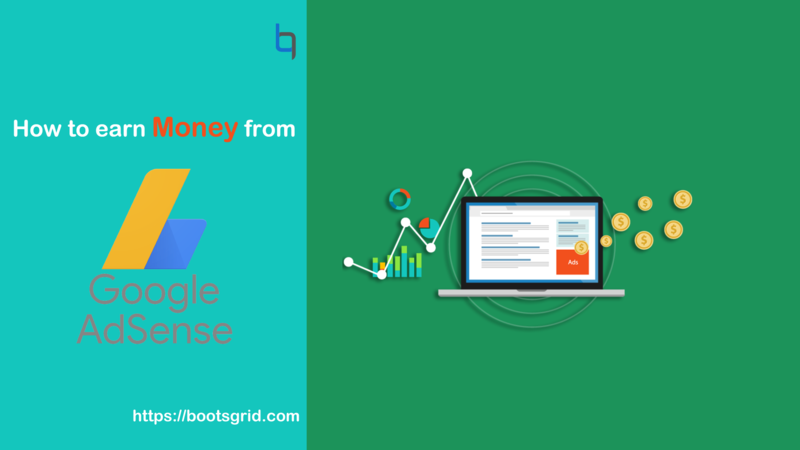 Adsense helps the bloggers or webmasters to earn money with their site after inserting an adsense code into their site now Adsense spiders will be crawling into your site to explore about your pages, blogs etc. They then check inventory of ads and put related ads next to your articles. So it will work possible by showing relevant ads in your website for example if someone reading an article about Laptop it will show an ad about any gadget devices. With this adsense tool as an publisher you can wrangle handsome of money in your business. Question may hits in your mind as is there any Rules in applying for Google adsense? Yes you should build your site with high quality content, increase your site visitors since it (Google adsense) needs approximately 2000 visitors per day and create your own articles, Blog on your website and especially you need webmaster for your site. Main thing you won’t bemuse with adwords and adsense since many people not yet clarified with this two. 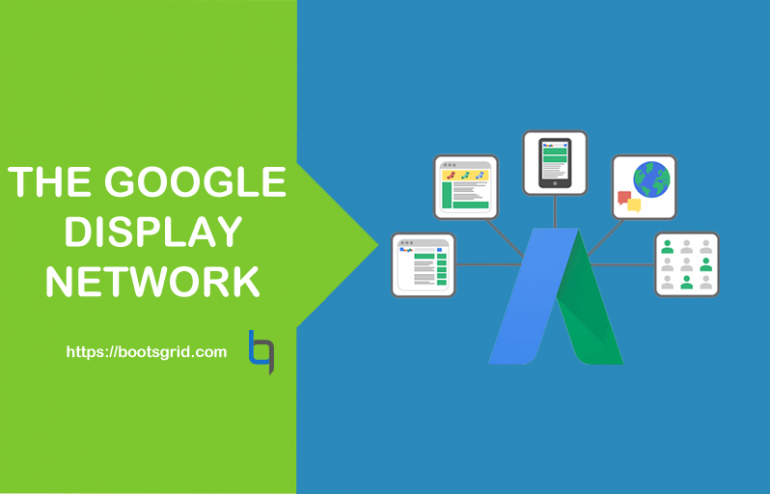 So adwords means you can promote your business by Google advertising platform, but in the adsense publishers publish about particular articles, blogs in their website. IT’S an Open source FREE Advertising platform for publishers to show their ads on their websites. And also it’s very easiest and simplest way to publish their ads. First get in with simple registration process and become regular revenues source for people from different walk of life. You won’t spend your valuable time in adsense once you registered in it. Since it is virtually self perpetuating once it is setup. It requires only users to check it regularly VERY LESS TIME INVESTMENT. Great way to generate extra income on side for many people. LOTS OF HELP IN ONLINE users can get more information, resources from web to optimize their website by publishing ads with adsense within their own website. As a user you don’t worry about your technical skills since quick guides will easily let a user know what they need to. CUSTOMIZABLE ADS Adsense allows for a great degree of customization with the ads that it supplies. The options provided to customize those ads are also easy which makes things easy even for amateurs. So as a user you can customize your ads as which you want to expose your products. GOOGLE PROVIDES FOR ADS most pay per click sites or programs require for a user to find the ads on their own and put it up on their site. In the case of adsense it is not so as Google picks out the ads that are relevant to the website and provides the user with the options. The ads are also in context to what is on the site which makes it a smart tool to use. NO PRODUCT REQUIRED Adsense doesn’t require hard work or time for anyone to publish their ads in their own websites and also it is a great way to show your products at the right place which leads to generate more income within your own website. EASY FOR EVERYONE you won’t worry about technical knowhow knowledge even though it involves in playing around with some code ads and it is easy to understand most of what it’s about within first 20 minutes of using it. It’s not just about straightforward content ads on websites with adsense. It also allows users to go beyond simple web browsing by helping place ads on search results and also on RSS feeds. This lets users target visitors that have a purpose for their browsing. 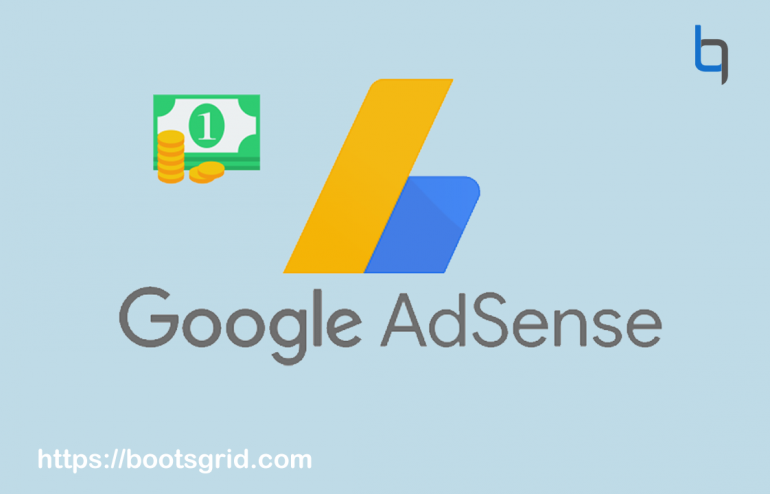 MULTIPLE WEBSITES WITH ONE ADSENSE it is a great way to manage your adsense account with multiple website too and easy to monitor and maintain activity in websites at the same time. Your monitoring activity becomes simple. Google also offers a web search with adsense which is a great add on to have on any site as it keeps visitors on the site. With this search option a lot many visitors do not feel the need to leave the site. Since getting clicks on ads is what adsense is all about, multiple clicks can also easily be generated from users through the search option. Now in this cosmos for every business needs some branding and marketing how can we achieve that? You should show case your valuable product to the world. But that one thing is massive challenge for every business owners, investors etc. Since this modern era diversified the people into many categories. Opinions or suggestions based on their interest and needs either it might be satisfy them or not. So you could do your best not only the purpose of your business, need to show your best to the outside world then only you can get customers. In that case you can do your marketing and promotions of your products with the assist of ads, videos etc and it also assures you to receive new customers. But here most of us couldn’t take consideration into the fact is How to do customer retention in my business? And another $1 million question is How to re-market my brand to my regular and frequent visitors to my website? Yeah right that‘s only the problem with most of the business owners. For that Google Analytics is on our hand to take care of such a charming work in our business. Of course Google is having A-Z products in their brand. But few are only familiar with people so Google Analytics are familiar with all modern guys in this era, especially they may be in digital marketing platform or one of SEO kind. Then how we’re going with Google Analytics for remarketing? Remarketing with Google analytics will leads to identifying your frequent and regular audience of your brand. It ensures you to classify those who’re the regular visitors? And who’re the new one? Other thing you can ensure to get engage with your frequent visitors of your brand. It may be convert the visitors into customers. So now let’s have gander at this as follows. 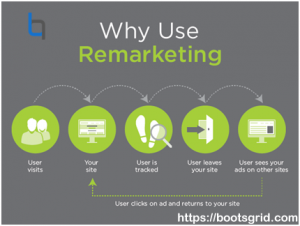 How to do Remarketing in Google analytics? First remarketing is foolproof methodology to get and create list of site visitors by managing their data and metrics which will surely helps you in conversions. Conversions are not simple thing, but it’s possible with Google analytics. Then you could share that list in ad platforms such as adwords. Google analytics help you increase in conversion by reaching the right audience. With the specific lists and segmentation capabilities you can show highly relevant messages. For your frequent visitors you can show them several relevant ads to their interest on your site with the google display networking and also it would be possible for you to increase the conversion rate. Sometimes you’re visitors not only citing your product on your web page, but they might be showed their interest to purchase the products until click the check out option. So they are also the possible visitors to take into conversions. Prior to create the list of audiences from your site, you need to identify the behavior of the visitors to your site. Since visitors sometimes visit the products page, but not yet they add the products to their carts and even they added the product to their cart not yet purchased so you can show them relevant ads while they getting into your website such as show them items doesn’t in their cart with discount offers. You can use remarketing audience in google adwords and display & video 360. Google adwords is available in all analytics account. Display & video 360 is only available in google analytics. To create audience for remarketing first ensure which account you’re going to use for remarketing and then specify the audience criteria. Then create a list of remarketing audience from preconfigured audience definitions and create a new audience definition and import the segments. In Google Analytics for websites you can use the existing tracking code and enable remarketing from your analytics property settings. For mobile apps you can modify your tracking code which you have included in your app. 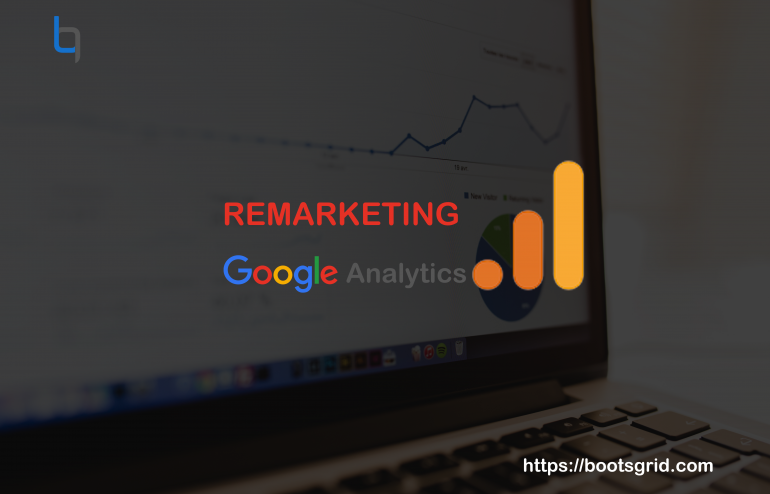 You can create remarketing audience based on your analytics data such as all default analytics data, import from linked Google Ads account and import from Google marketing platforms. How can you specify the visitors for remarketing campaigns? Such a great work is possible with Google analytics. Yeah you can create the list of audience based on their activities on your site leads to accomplish your remarketing campaigns with right audience. It supports you in advertising your products via ads. The ads are shown to the users who visited your product details page and who added products to their carts and users who just viewed the product might be shown ads for the products they clicked with discounts and users who already bought the item show ads on relevant products might be interested to buy it too. Options go beyond products views, page views done by the visitors. You can require that visitors who view more than three products on your site or stay tuned over a minute that can be added in remarketing options.